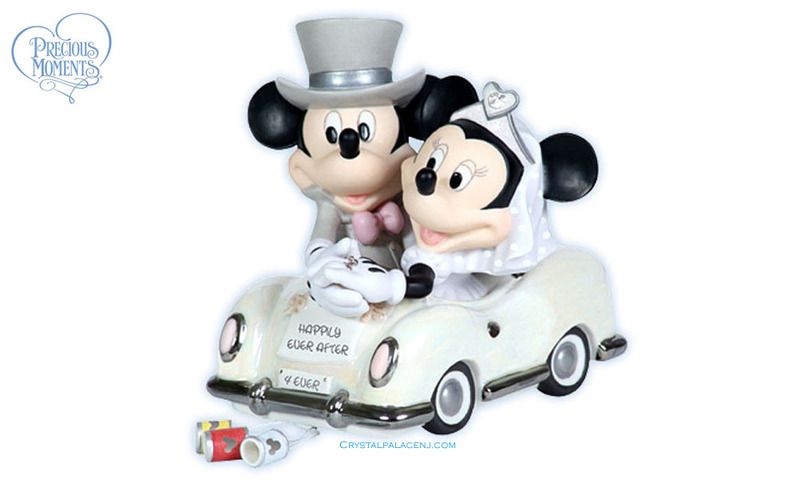 Driving off after their fairytale wedding, Mickey Mouse and Minnie Mouse couldn't look happier! The sweet couple sweetly celebrates your marriage, and makes a wonderful gift for the newly betrothed. Bisque porcelain figurine. 5" H. Disney Showcase Collection. Item#: 113703 - Height: 5"